Weighing up the merits of a Porsche 911 Cabriolet versus an Audi R8 Spider? 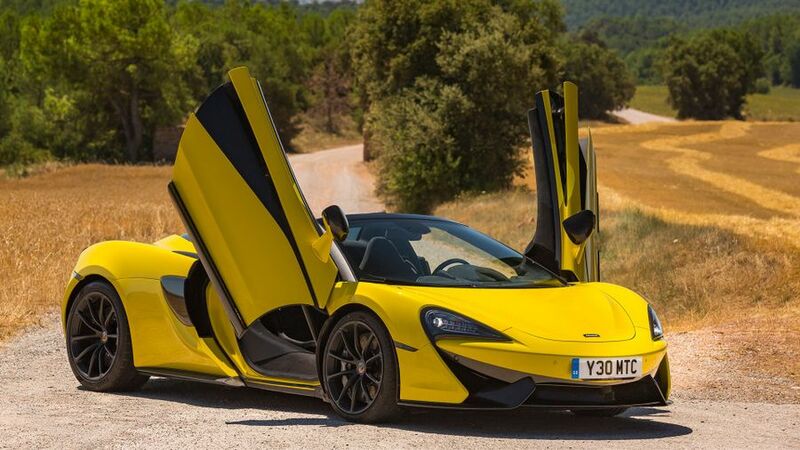 Well stop right now, because for similar money, you could be driving the simply sensational McLaren 570S Spider. 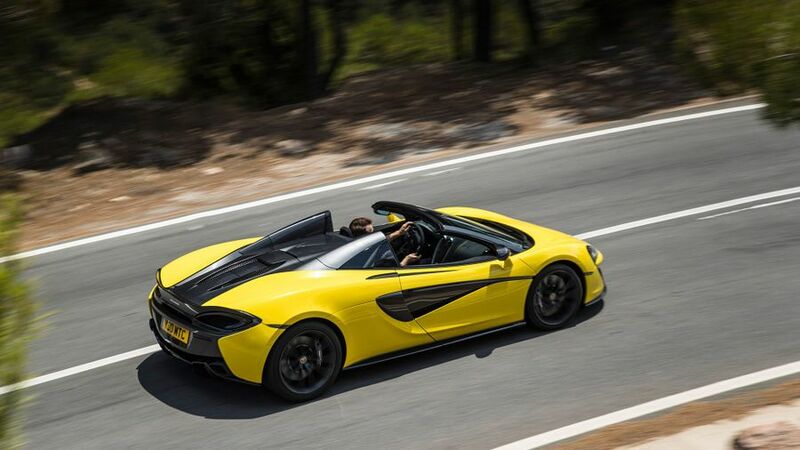 Even among rival sports cars, the McLaren 570S Spider is gob-smackingly gorgeous, and it also manages to pull off that rare trick of looking even more expensive than it actually is. 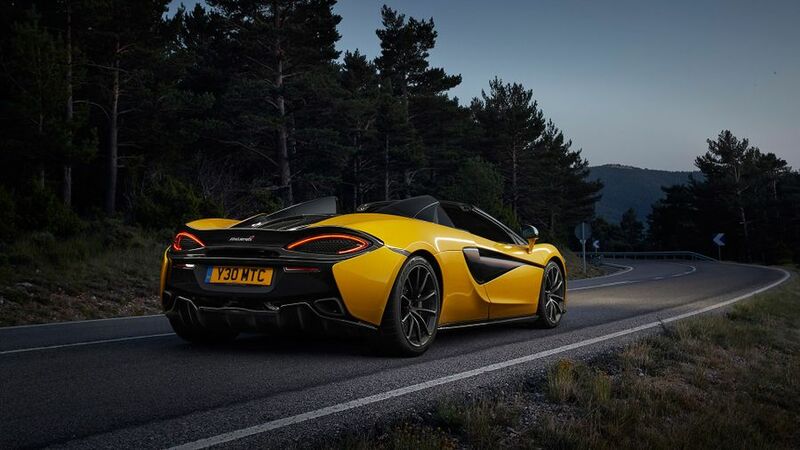 Discounting the looks, though, the McLaren is one of the most technically gifted and sweetest-driving open-top cars ever created, and that should be reason enough to rocket it straight to the top of your dream-garage wishlist. No one is suggesting for one moment that the Spider is anything other than a very pricey car, and yet it still manages to pull of that rare trick of looking far more expensive than it actually is. There are some truly stunning aspects to the design. From the aggressive, shark nosed front-end to the deep air channels that carve down the side of the car, to the LED tail lights and ground hugging rear diffuser at the back. The sculptured doors are something to behold, too, as they open in a theatrical, near-horizontal fashion. Meanwhile, the roof’s electrically controlled folding routine also provides bystanders with an even more spectacular exhibition of kinetic art. 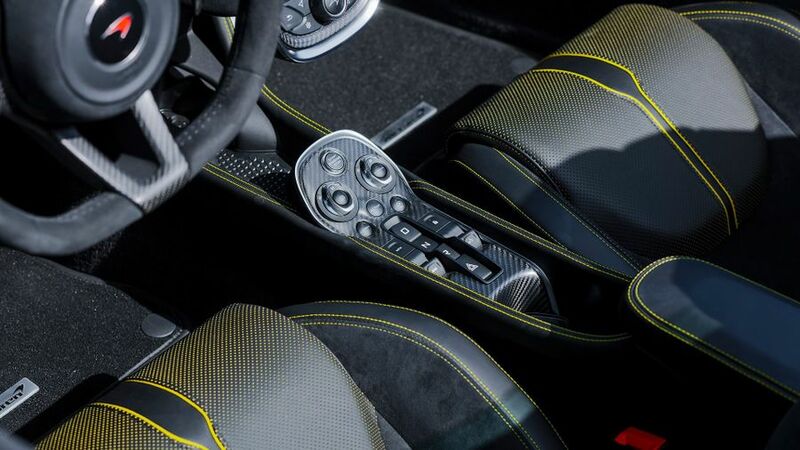 It’s just as well that the Spider is only available with a paddle-shift semi-automatic gearbox, as fitting a clutch pedal in the limited confines of the driver footwell a would prove extremely tricky. However, although footrest space is at a premium, the brake and accelerator pedals line up well with the electrically adjustable steering wheel to provide an excellent low-slung driving position. The steering wheel itself looks and feels great, while the paddles that ram home the lightning-fast gearchanges operate with a luscious precision. The heavily bolstered seats provide plenty of lateral support when cornering, but they do lack a wee bit of lower lumbar support, so it’s definitely worth taking an extended test drive to make sure you remain comfortable on longer journeys. The biggest black mark, however, is reserved for the electric switches that control the seats, as they are tucked well out of sight and are the devil’s own job to operate. While the dashboard has a clean, high-tech layout and switching between the various selectable driving modes is relatively straightforward (thanks to a couple of neat rotary dials), the portrait-oriented touch-screen infotainment system certainly isn’t the quickest-witted device you’ll ever encounter. And, for such a heavily stylised vehicle, forward and side visibility are simply superb. With such a clear view all around, and very few blind spots to take into consideration, it takes no time at all before you feel confident enough to start driving the Spider in the manner it was designed for. Obviously, no one buys a convertible for its practicality but the Spider is better than most. 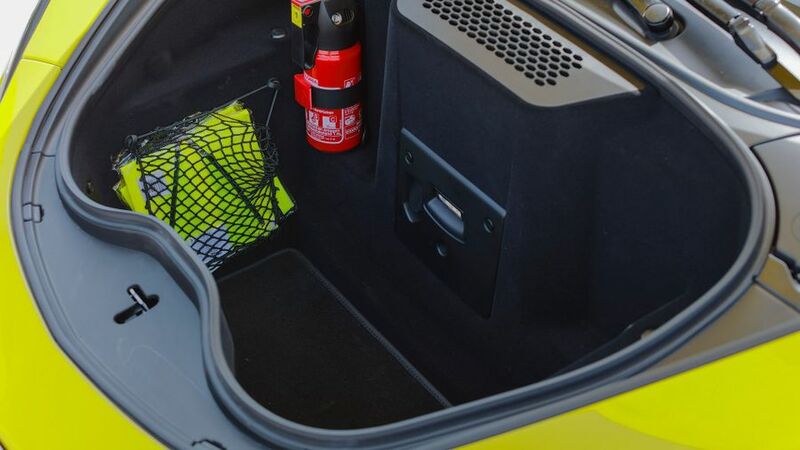 At 144 litres, the luggage space you get under the bonnet is easily big enough to cope with a trio of bags that would typically fit in an aircraft overhead locker. With the roof up, there’s also some additional storage space for a few flatter items hidden behind the two seats, in the well that the roof lives in when it’s folded. You can access this area by using buttons hidden in the driver’s side door, to electrically open or close the cover. The roof itself cantilevers in or out of its housing in 15 secs and can be deployed at speeds at up to 25mph. Even with the roof in place you can lower the transparent wind deflector, in an effort to make the rather subdued engine note sound more distinct, but in practice, it makes very little difference to the overall decibel levels. 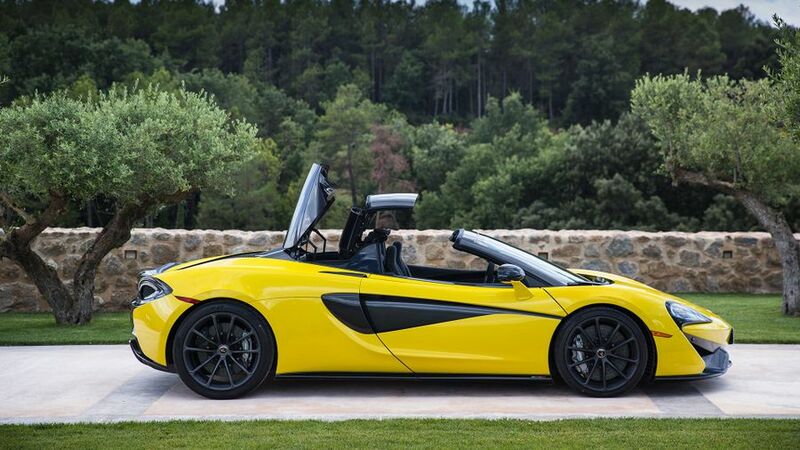 Like all McLarens, the Spider is built using a carbon fibre tub, and much of the bodywork is fashioned from aluminium. Consequently, the car is very light, extremely very stiff, and allied to unfeasibly supple suspension, able to eliminate body shake better than any rival convertible. It also features a rear-wheel drive, mid-engined layout, plus adaptive suspension that hardens up or softens off depending on the mode you select. This sublime arrangement of hardware makes the car feel extremely nimble, and while the suspension keeps body roll to a bare minimum, the car is also blessed with phenomenal grip, which allows you slingshot around corners faster than you might’ve thought possible. The steering is generally quick and quite light, although somewhat strangely, it can feel disproportionately heavy when holding the car in a long sweeping bend. It also tends to feels rather vague and disconnected under hard braking. This trait aside, the steering normally manages to transmit lots of feedback and feels extremely satisfying. With the exception of some intrusive wind noise forcing its way between the joints of the folding roof at motorway speeds, the Spider is a surprisingly civilised car. It’s immense body stiffness and supple suspension do a great job of isolating occupants from tyre roar, and it’s only when you rev the engine mercilessly that the exhaust note really begins to bark. The ride is also very supple and comfortable most of the time, although the low ride height means that encountering speed bumps and steep driveways can be a nerve-wracking experience. Thankfully, there is the option of a nose lifting device to help overcome these obstacles. The Spider uses a 3.8-litre twin-turbo V8 tuned to produce 570PS. That’s an awful lot, enough to rocket the Spider to 0-62mph in just 3.2 seconds. That’s not to say the Spider’s engine is a spiky, snarling beast. It’s actually very docile and manageable at low speeds, which makes the car very easy to drive smoothly in traffic and allows it to pull from very low revs and change gear in a cultured manner, especially if you leave the gearbox in full automatic mode. Throw caution to the wind, however, by twanging the left-hand gearshift paddle a couple of times and cranking the revs up to boiling point, and the Spider piles on speed with the intensity and adrenaline of a bungee jump. 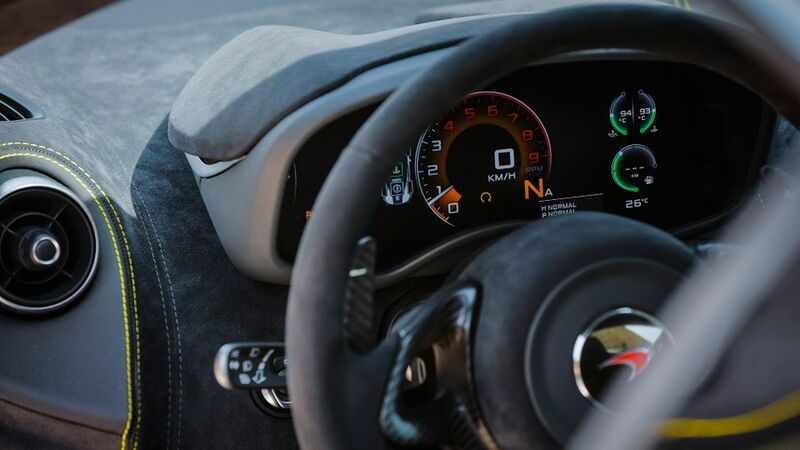 By the time you hit the redline in third gear, you’ll be absolutely storming along, so much so that only on a race track will you be able to repeat this process in the higher gears. Any temptation to emulate this practice on the public road will inevitably see you heading directly to a ‘do not collect £200’ postcode. The Spider is part of McLaren’s Sports Series, a range of cars that’s designed to be a bit more attainable than McLaren’s hypercars. Everything’s relative, of course, and this is still a very expensive car, costing about the same as a top-end Porsche 911 Convertible or an Audi R8 V10 Spider. Obviously, bills for insurance, tyres and maintenance won’t be cheap, and nor will fuel and tax, but with average fuel economy of 26.6mpg and CO2 emissions of 249g/km, your everyday running costs on the 570S won’t be quite as eye watering as with some other cars with this level of performance. What’s more, while the McLaren brand continues to go from strength to strength, and demand for its hand built cars continues to exceed supply, resale values will stay phenomenally strong. Chances are, if you buy one and run it for a year, you’ll easily get your money back. 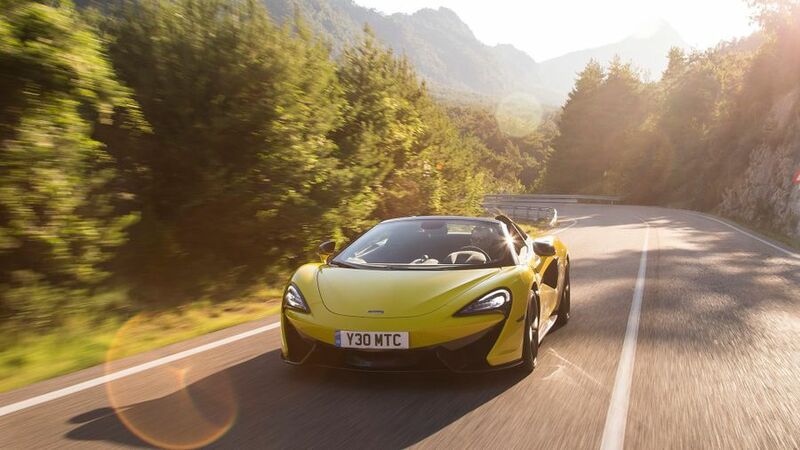 As a fairly new car, and a fairly new car company for that matter, there is very little meaningful data on how reliable the Spider, or any other McLaren, will be. The odd electrical glitch was reported on early McLarens, but these appear to have been ironed out with various upgrades being introduced. However, it’ll be a while before we get a true picture of exactly how dependable McLaren’s cars are. The Spider will sell in comparatively tiny numbers, so don’t expect it to ever be crash tested by Euro NCAP. However, it does have some features that should enhance safety as far as possible. For starters, the carbon fibre monocell on which the car is built is an incredibly strong structure, and should channel crash forces around the passenger cell, rather than into it. The advanced stability control system has a range of modes that give you more help - or less help - as requested and, should the worst happen, there’s a collection of airbags to help make sure that the crash causes a much bigger hit to your wallet than it will to you and your passenger. Initially, you’ll no doubt be drawn to the 570S Spider by its supercar looks, and by the fact you can drop the roof and bask in a sea of admiring looks. However, the Spider is far, far more than just a piece of poster art. Providing one of the most engaging driving experiences available at any money, the Spider delivers big-time on the performance and handling front, and yet at the same time, it’s a comfortable and refined long-distance cruiser that you can use on a daily basis. Who was it who said you can’t have your cake and eat it? They obviously haven’t driven the McLaren 570S Spider.